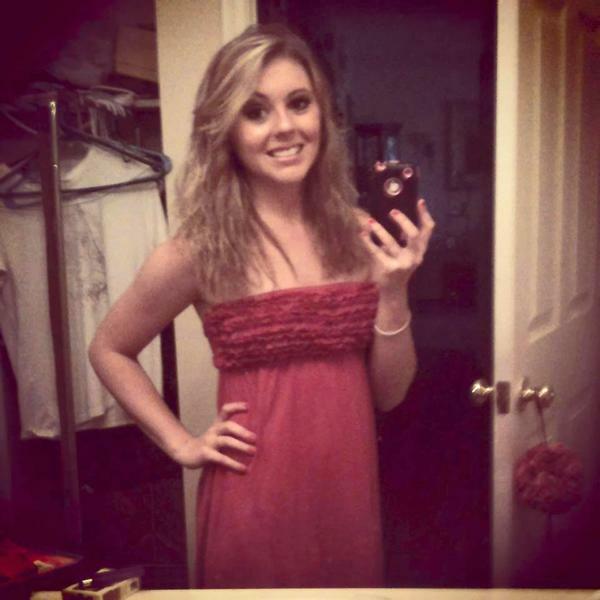 18 year old Brookelyn Farthing has been missing since June 22, 2013 in Madison County, Kentucky. State Police say Brookelyn Farthing was last seen Saturday morning at a home on Dillion’s Court, just outside of Berea. According to police, an hour after Farthing was last seen, a fire started at the house, but Farthing was nowhere to be found. Brookelyn Farthing’s belongings, including packed bags were still in the home. The only thing that was gone was her cell phone. The home is believed to belong to a male friend of Miss Farthing’s ex-boyfriend and had been without electricity for several weeks, according to investigators. Police are trying to figure out if the fire is connected to the missing person investigation. As of now, the police are saying they are only linked, because the home is the last place somebody saw Farthing. Farthing is described as 5 foot, 1 inch tall, with blond hair and brown eyes. According to a flyer on Farthing’s Facebook page, the teenager had been wearing a gray Future Farmers of America shirt and light blue-jean shorts and was last seen at 6 a.m. Saturday. The family of Brookelyn Farthing, the missing 18-year-old Kentucky girl, warned today that “if someone’s got her … it’s God that’s going to deal with you,” while police said they are still holding out hope that the girl could have dropped out of sight of her own free will. Farthing was reported missing early Saturday after a couch fire ignited at the home where she was said to have been visiting. The couch was completely consumed as well as the floor beneath it, according Kentucky State Police spokesman Trooper Paul Blanton. Police are still unsure if the fire had anything to do with Farthing’s disappearance, but it is being investigated as suspicious, he said. Farthing’s family told ABC News affiliate WTQV-TV in Lexington, Ky., that they just want to see their daughter come back home. Farthing’s family told WTQV that the home was occupied by a male friend of her ex-boyfriend. The home did not have electricity for a couple of weeks, according to the police. KSP Investigates If Suspicious Fire Linked To Missing Girl. State Police in Madison County spent Monday morning investigating what investigators deemed a suspicious house fire. The home is also the last place anybody saw a missing girl. Two neighbors say they would be shocked if the owner of the home had anything to do with Brookelyn Farthing’s disappearance. Around 7 AM, a neighbor says the owner called in a fire. State Police say an hour earlier at that home was the last time somebody saw 18-year-old Brookelyn Farthing. She is from Richmond.